This post was updated in September 2016 to replace images with local copies. Alas after a decade, three no longer exist. I'm addicted to Flickr! I've been looking through photos for ages and wasting so much time! Yesterday I posted some of my favourite Kuala Lumpur Flickr photos, so I thought it would be fitting to put some of my favourite Singapore ones on now. 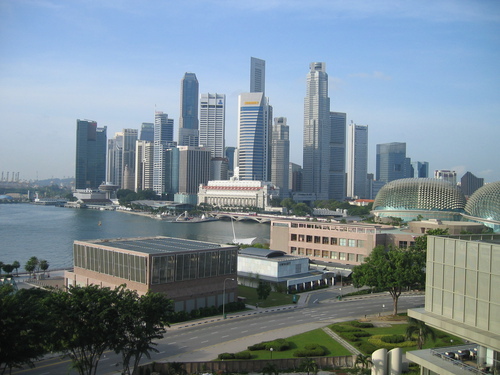 The Singapore skyline from the Oriental Hotel across the bay. 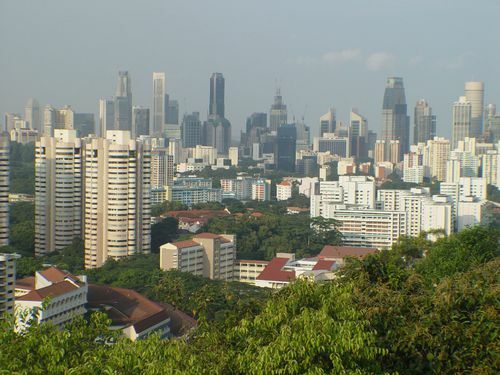 Singapore is such a small big place. Or a big small place. 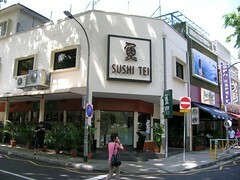 Singapore is full of Sushi bars… mmm… Sushi.